05 Trophy Pro 2502 with 250 Hp Verado and Tandem Trailer. A FLAWLESS BEAUTY!! 07 SEA FOX 216 DC PRO 175 HP SUZUKI 4 STROKE AND TRAILER LESS THAN 300 HRS!!!! 06 SEASWIRL STRIPER 2101 LIMITED 150 HP Etech and 2018 Venture Trailer STUNNING! 2007 21 Ft Key West 2020 Bluewater 150 Hp Yamaha 4 Stroke SAME AS NEW!!! 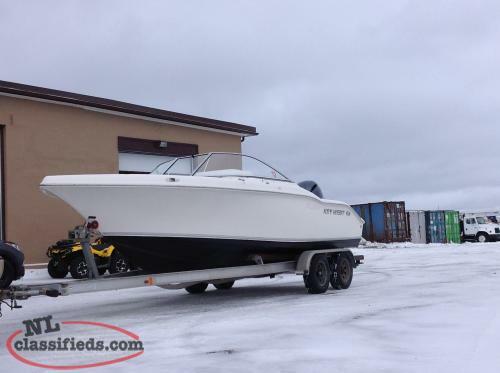 2006 SEA PRO 270 TWIN 200 OPTIMAX! LOADED! USED ONLY IN FRESHWATER ! BARGAIN!! 05 POLAR 2100 DC 150 HP YAMAHA 4 STROKE AND TANDEM TRAILER ONLY 184 HOURS USE!! !